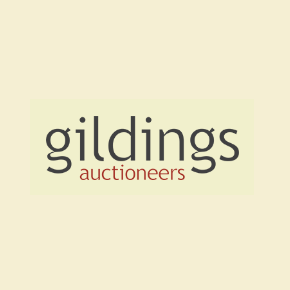 Contrary to the traditional image of the auction house, we at Gildings are placed at the forefront of the fast-expanding global market for high quality antiques and works of art. As well as inviting bids in our modern saleroom, we employ the latest online technology to extend our regular auction sales to real-time bidders worldwide across multiple platforms. Our expertise lies partly in recognising trends in our specialist markets for antiques, collectables, decorative art, jewellery & silver, fine art & pictures. We are continually seeking out desirable lots, and revising and evaluating the contents and themes of our auctions to meet the ever-changing demands of collectors, connoisseurs and investors. In recent years there has been an explosion of public interest in vintage items and antiques, fueled by popular TV programmes. But far from being left behind by the phenomenal rise of ebay and other online auctions, Gildings has expertly ridden the wave of interest, focusing on premium markets. Whether you are a potential buyer or seller, the services of a trusted, specialist auctioneer provide clear benefits. Our reputation is first rate for offering sought-after lots that are fresh to market, and of significant interest to both traders and collectors alike. Meanwhile, for probate sales, house clearances and individual high-value items we offer the widest possible market reach, attracting buyers internationally – and so maximising your potential returns.